This week's muse, Cornelia, at MCV provided a very fun and interesting card to pique our interests. For my card the applied inspirations are color palette, deer, half of the sentiment in black background, rhinestones to mimic the dots, side strip. I mixed up things a little ... made the strip in rainbow colors and stamped the deer using the accompanying stamp for the die. Great twist on the Muse, Marilyn! 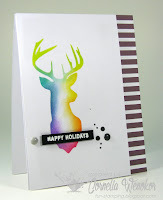 Your reindeer is perfectly placed leaping over the sentiment and the rainbow inked border is gorgeous! 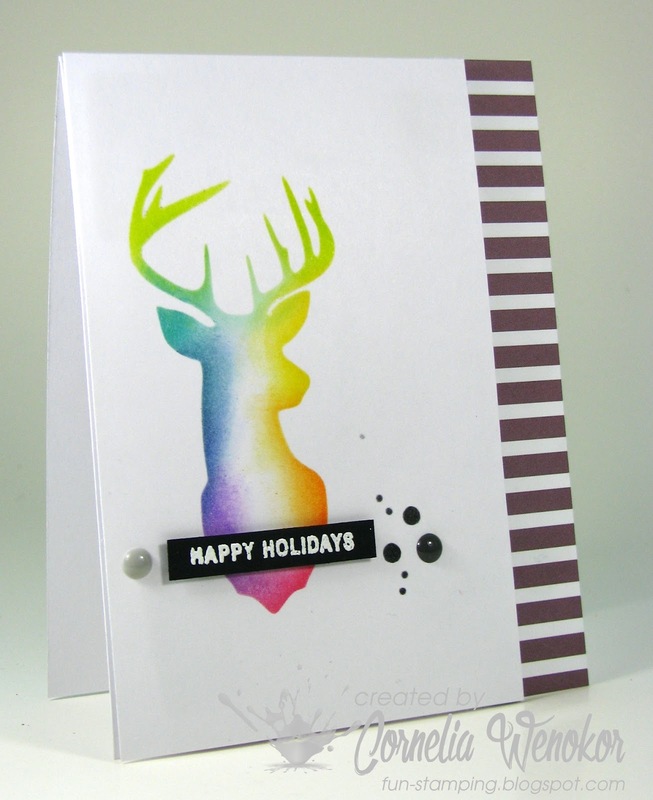 That "star-spangled" deer is fabulous and that rainbow strip on the side makes your card truly merry and bright! Thanks so much for joining in the fun at MCV, Marilyn! Oh how fun! I like how you 'mixed up' the different elements of Cornelia's card to make it your own! So glad you joined us at MCV this week, Marilyn! What a great take on Cornelia's card! The rainbow strip down the side is so pretty, and sets off the reindeer perfectly.